Water is a fundamental human need and natural bottled water provides a healthy, convenient and consistent way for UK consumers to stay hydrated. 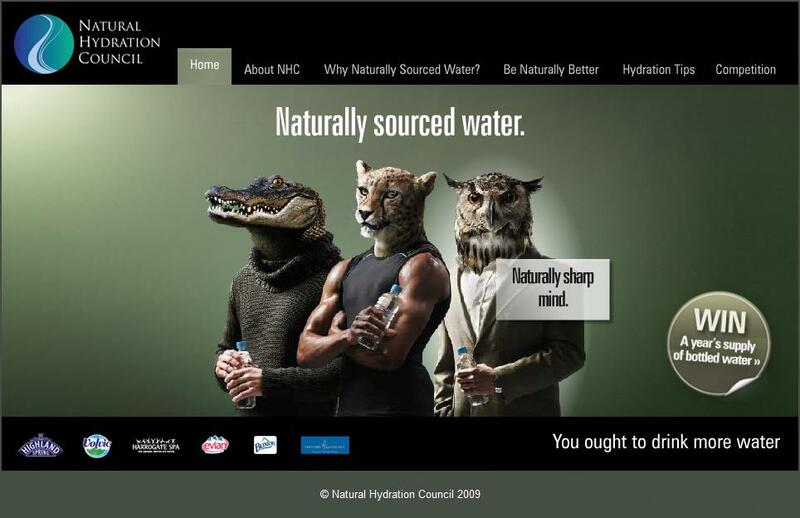 The Natural Hydration Council is dedicated to researching the science and communicating the facts about naturally sourced bottled water. 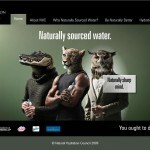 It was founded in response to growing sales of bottled water and greater public debate over its social and economic impact. The objectives of the Council are to research and promote the environmental, health and other sustainable benefits of naturally sourced bottled water and help consumers to make an informed choice about natural bottled water and hydration in their diet. 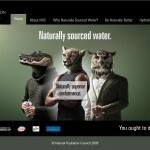 The founder members of the Council are Danone Waters (UK & Ireland) Ltd, Nestlé Waters UK Ltd and Highland Spring Ltd. The NHC is a not-for-profit advisory group, governed by a council and guided by a scientific panel to authorise and validate peer reviewed academic research and studies. 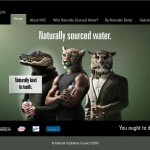 Campaign's theme is "You ought to drink more water". 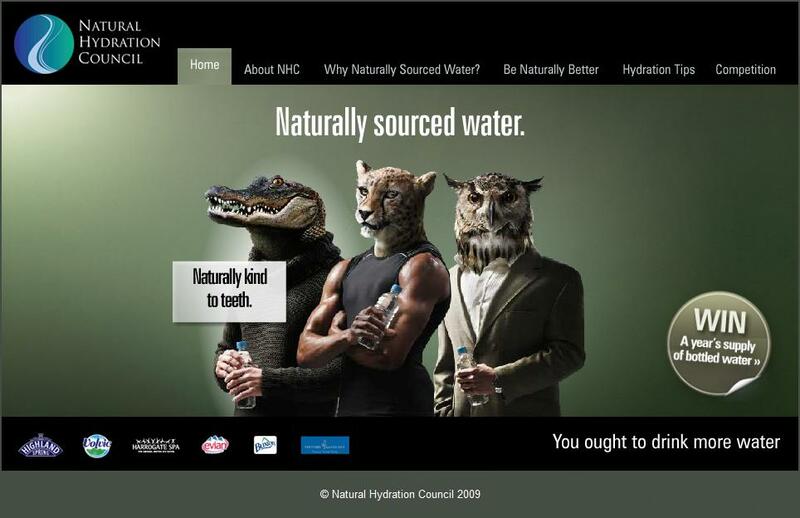 But look at the URL: yououghttodrinkmorewater.com - couldn't their marketeers go for something jinglier? Drinking enough water every day helps keep you properly hydrated which increases alertness and maintains concentration. 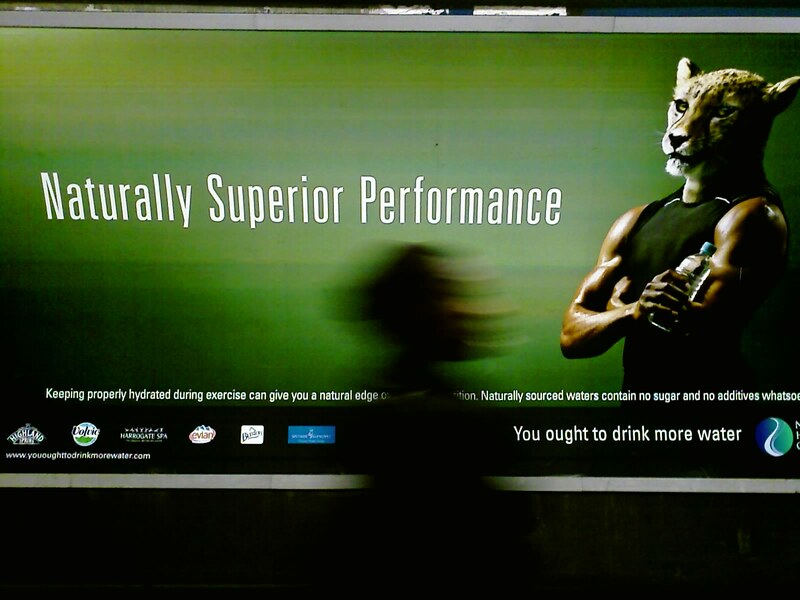 Naturally sourced water contain no sugar and no addictive. 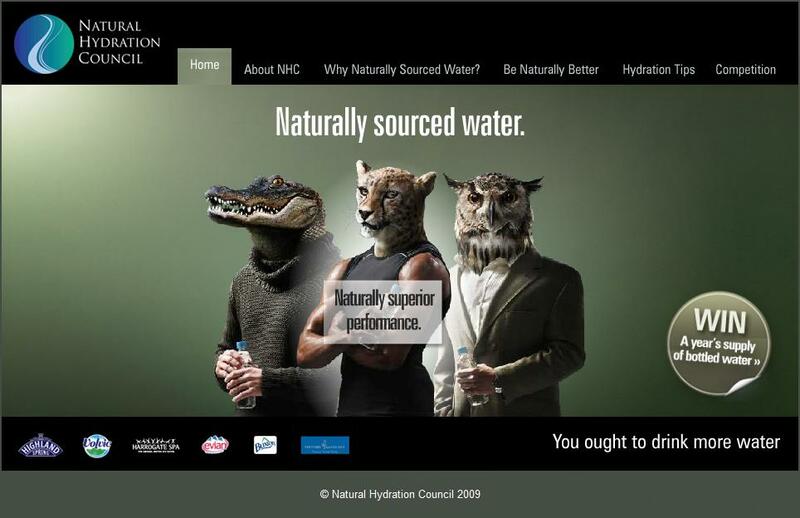 Three characters dressed as a crocodile, a lion and a owl scream all together for "Naturally Kind to Teeth", "Naturally Superior Performance", and "Naturally Sharp Mind". Very natural idea, natural images, and natural products. 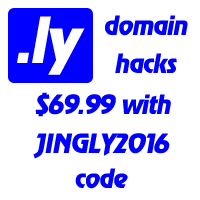 The only missed a natural Internet address, like natural.ly or natural.me. 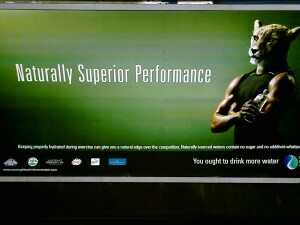 Such great marketing companies as Danone and Nestlé could do a bit better on the branding course. One could even subscribe for price to win a year's supply of bottled water but their technical stuff needs to fix the errors in their Microsoft .NET Framework - which crashes after the submit button is pressed.